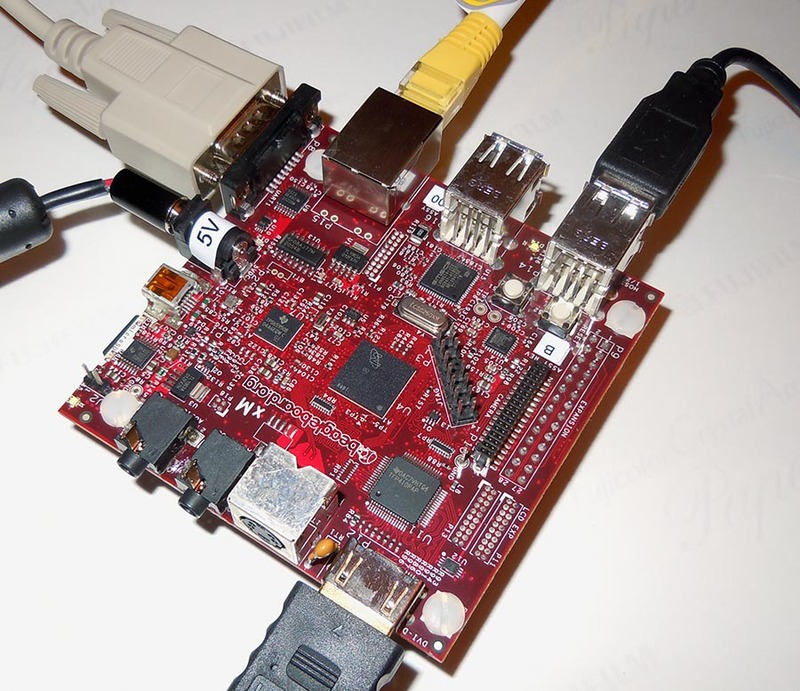 The BeagleBoard-xM is a modified version of the HCL:BeagleBoard which has a faster CPU core (clocked at 1 GHz compared to the 720 MHz of the BeagleBoard), more RAM (512 MB compared to 256 MB), onboard Ethernet jack, and 4 port USB hub. More technical data (tests and configurations) on openSUSE:Beagleboard_(xM). This page was last modified on 29 March 2019, at 09:58. This page has been accessed 32,604 times.